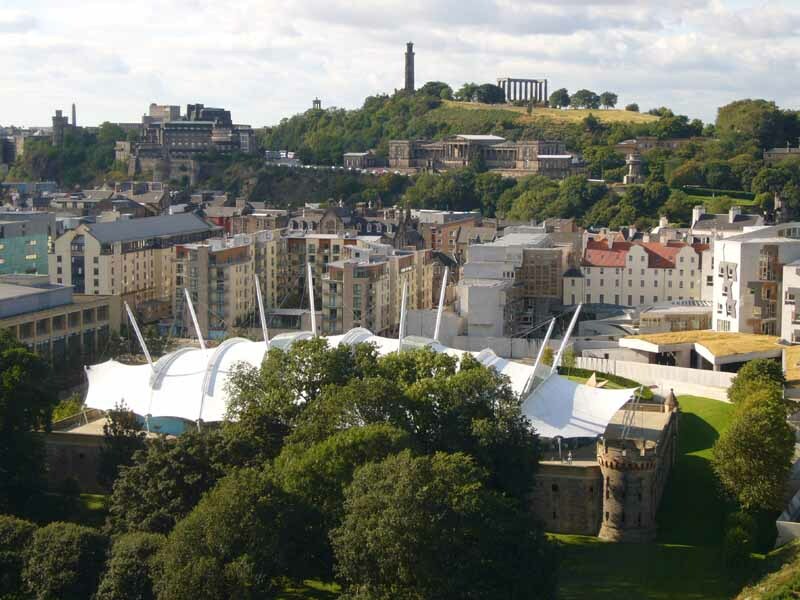 This is a large public park in Edinburgh, to the south of the town centre. It consists largely of open grassland crossed by tree-lined paths, but also has a children’s playground, a croquet club, tennis courts and recreational sport pitches. 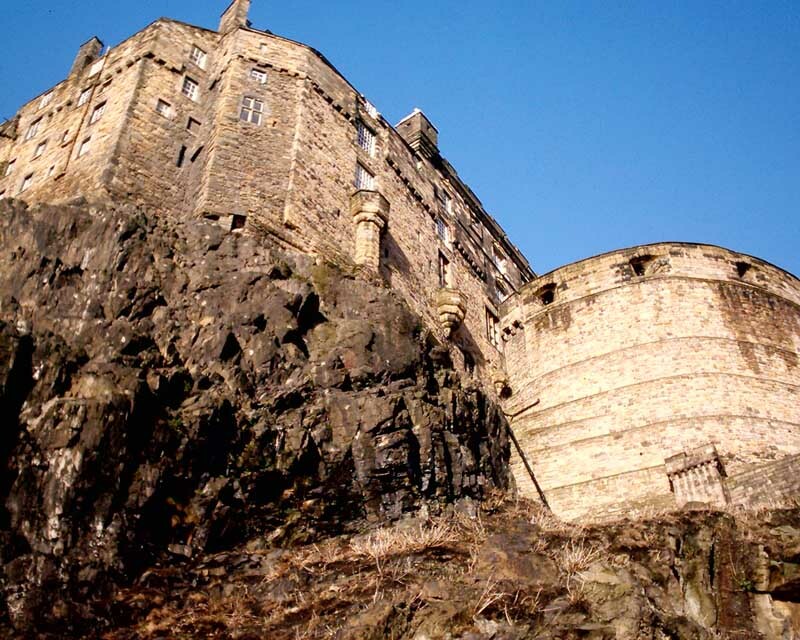 It is bordered by the University of Edinburgh’s George Square campus and the Quartermile development on the site of the old Edinburgh Royal Infirmary to the north and Marchmont to the south. 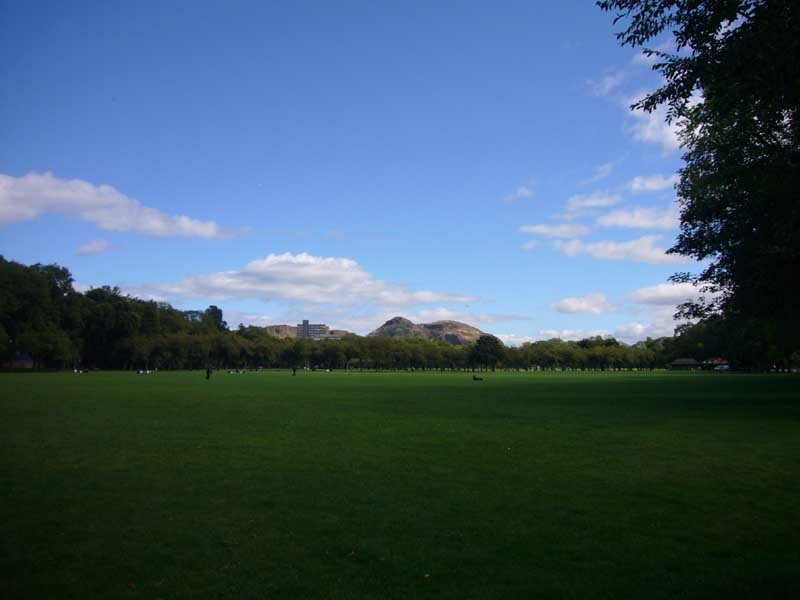 To the south-west it becomes Bruntsfield Links where there is a free, public pitch and putt golf course. 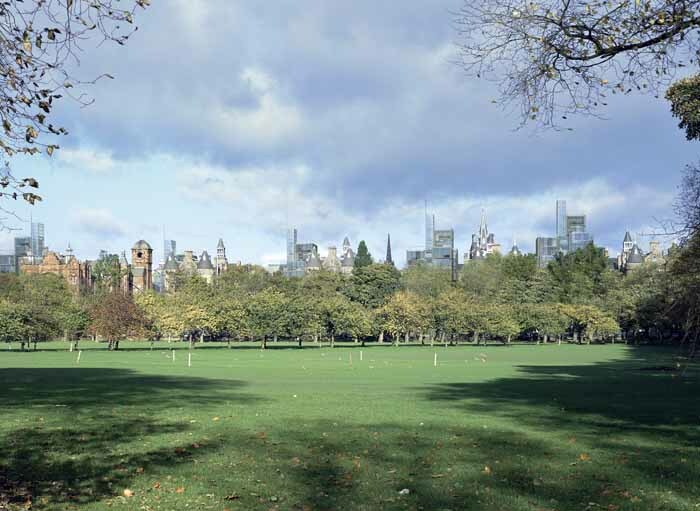 In 1827 an Act of Parliament protected the Meadows from being built upon. In the 1870s this location was an important venue in the early development of football in the city. Fledgling teams using the space were Heart of Midlothian F.C. and Hibernian F.C., later to become the city’s preeminent sides, and the first derby match between them was played here in 1875. In the late 1960s, plans to complete a “flyover” over the park for a trunk road were defeated. 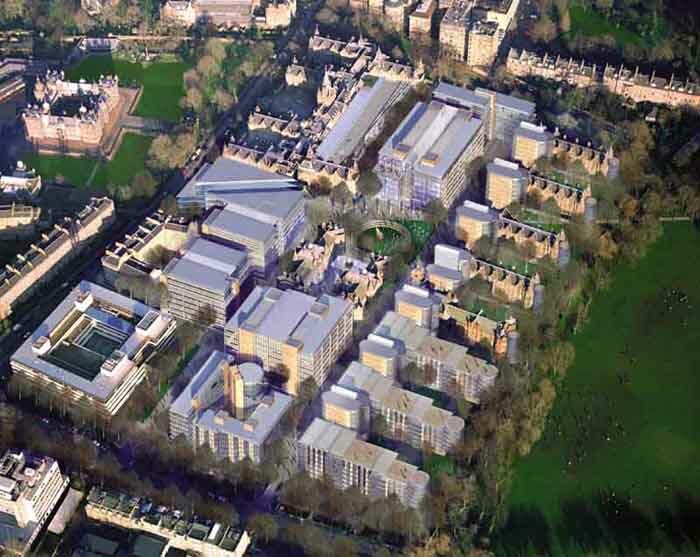 Quartermile is the marketing name given to the mixed-use redevelopment of the former Royal Infirmary of Edinburgh site, in Lauriston. This development is nearly completed. 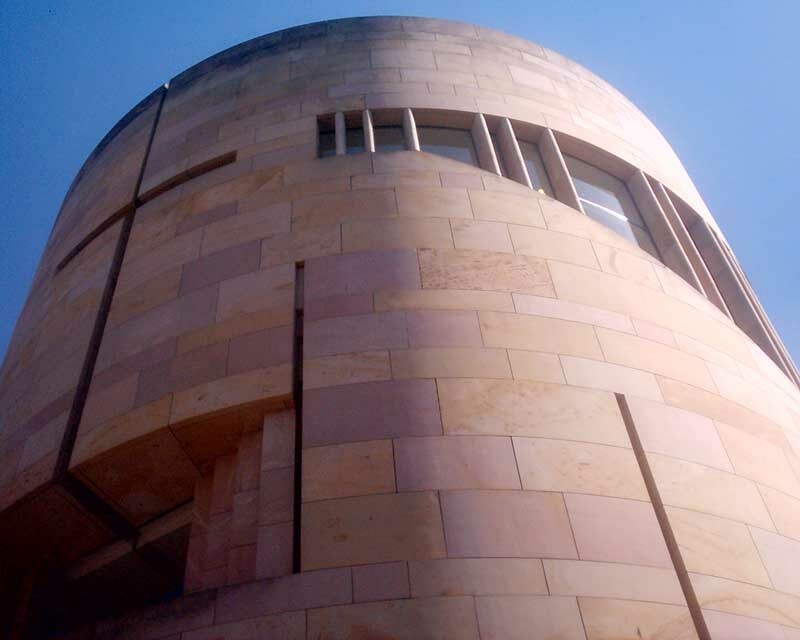 The scheme was masterplanned by Foster + Partners, London. 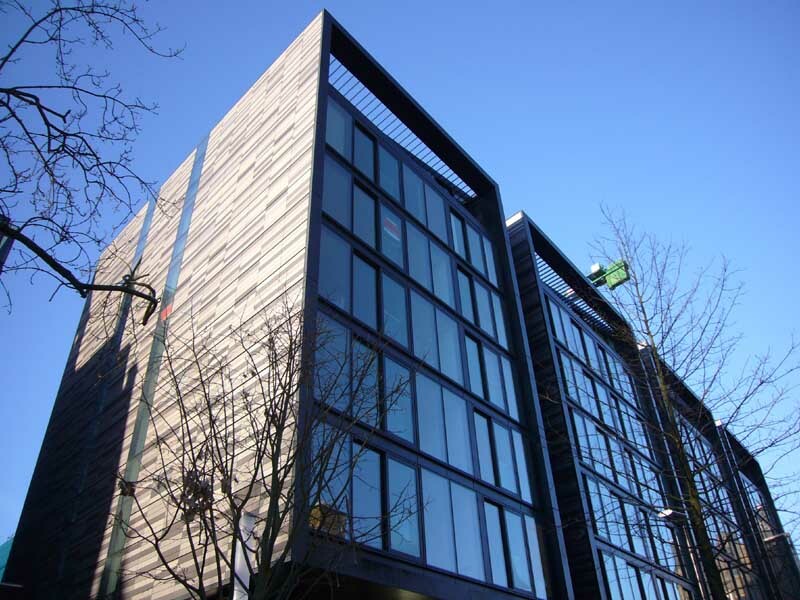 It comprises a mixture of new build apartments, apartments converted from the existing hospital buildings, new build offices, affordable housing, and retail/leisure uses.